I have purchased a Sanxin Battery Powered Electric Fishing Hook Tying Device. My Short History of why I want to use a hook tier. I have had trouble tying small hooks ever since I had the accident with the Petrol Generator handle snapping and cutting my nerves and tendon in my right hand index finger. So I've been testing out different fishing hoot tying gadgets to see which one works best for me. This Fish Hook tying device works extremely well. 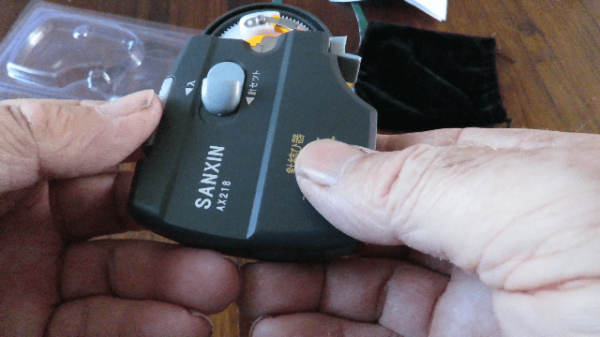 Using the Sanxin Battery Powered Electric Fishing Hook Tying Device. Basically it will take you only a few tries to get used to how this device works, and from then on it becomes so easy to use. I believe the hook I used in my video demonstration would be on the upper limits of this gadget. So bear that in mind if you intend to use large hooks. Get a Battery Operated Fish Hook Tying Tool Below.